Jim Santilli has more than 18 years of transportation safety experience and began his career with the Transportation Improvement Association (TIA) on May 15, 2006. After serving as a Traffic Safety Specialist from 2006 to 2009, and Coordinator of Information Technology, Public Relations, and Traffic Safety Services from 2009 to 2011, Santilli was asked to lead the agency during January of 2011. He was officially appointed to the position of Chief Executive Officer by the Board of Directors on June 24, 2011, and is the 4th leader in the 52 year history of the agency. Previously, Santilli worked in the criminal justice and public safety fields. Under Santilli’s leadership, TIA reinvigorated a culture known for high employee engagement, fiscal responsibility, and award-winning safety initiatives. Since 2011, TIA significantly improved its financial position by eliminating all debt during FY2012, and achieving a more than 1,009% increase in net assets by the end of FY2016. Services and staffing were also significantly enhanced and expanded. As a leader in distracted driving awareness, Santilli led the development of the “Remembering Ally: Distracted Driving Awareness Campaign,” which was named after Ally Zimmerman. The campaign was one of five traffic safety programs in the nation to receive a Peter K. O’Rourke Award during 2013. It also received a 2012 Outstanding Traffic Safety Achievement Award from the Michigan Governor’s Traffic Safety Advisory Commission. A component of the campaign, a realistic distracted driving crash education video, received an Eclipse Award for production excellence and has been viewed in more than 90 countries. Since 2010, Santilli has been speaking about the dangers of distracted driving and promoting increased enforcement. Most recently, Santilli conducted extensive research and provided State Representative Martin Howrylak with language for a hands-free distracted driving bill that was introduced in the Michigan Legislature. Furthermore, he organized an enforcement initiative known as “Operation Ghost Rider,” which was featured nationally in The Wall Street Journal. Santilli serves on the Michigan Association of Chiefs of Police Traffic Safety Committee, Oakland County Transportation Committee, and leads the M-59 Traffic Safety Team. 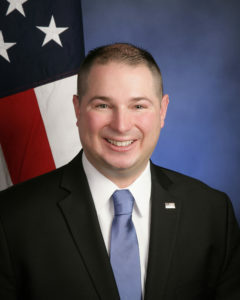 During 2016, he was appointed by Oakland County Executive L. Brooks Patterson to serve on the Oakland County Connected Vehicle Task Force. Santilli served as the Chairman of the Michigan Governor’s Traffic Safety Advisory Commissions’ Distracted Driving Action Team from 2013 to 2018, was the 2016/17 President of the Intelligent Transportation Society of Michigan’s Board of Directors, and previously served on the Southeast Michigan Council of Governments (SEMCOG) Transportation Advisory Council. He is a proud member of the Airborne Public Safety Association, Aircraft Owners and Pilots Association, Michigan Association of Chiefs of Police, Michigan Sheriffs’ Association, Oakland County Association of Chiefs of Police, Oakland County City Managers Association, and Southeast Michigan Association of Chiefs of Police. Santilli holds an Airman Certificate from the Federal Aviation Administration (FAA) with a small Unmanned Aircraft System (sUAS) rating, and has more than 4 years of experience flying sUAS’. He currently serves on the Michigan Aeronautics Commissions’ Unmanned Aircraft Systems (UAS) Advisory Committee. As a member of the Macomb County Sheriff Aviation Unit, Santilli became the department’s first sUAS pilot on July 26, 2017, and wrote the Standard Operating Procedures and provided guidance for the new Unmanned Aerial Vehicle (UAV) Unit. He has partnered with the FAA to educate law enforcement leaders on sUAS regulations and responses to a variety of situations. Santilli currently serves as an Ambassador at Detroit Metro Airport. He was the recipient of Oakland County Executive L. Brooks Patterson’s prestigious ‘Elite 40 Under 40’ leadership award during 2012, and was a 2010 candidate for State Representative in the Michigan Legislature. During 2007, Santilli was recognized by the CEO of Delta Air Lines for his commitment to transportation safety. A lifelong resident of Michigan, Santilli is a graduate of Dakota High School and Ferris State University. At FSU, he earned a Bachelor of Science in Criminal Justice, received the Torchbearer Leadership Award, and an award from the Department of Public Safety. He has training in aeronautics, corporate law, emergency medical services, highway safety, and homeland security. Santilli frequently shares information with other professionals throughout the nation and internationally to remain on the cutting edge in transportation safety.